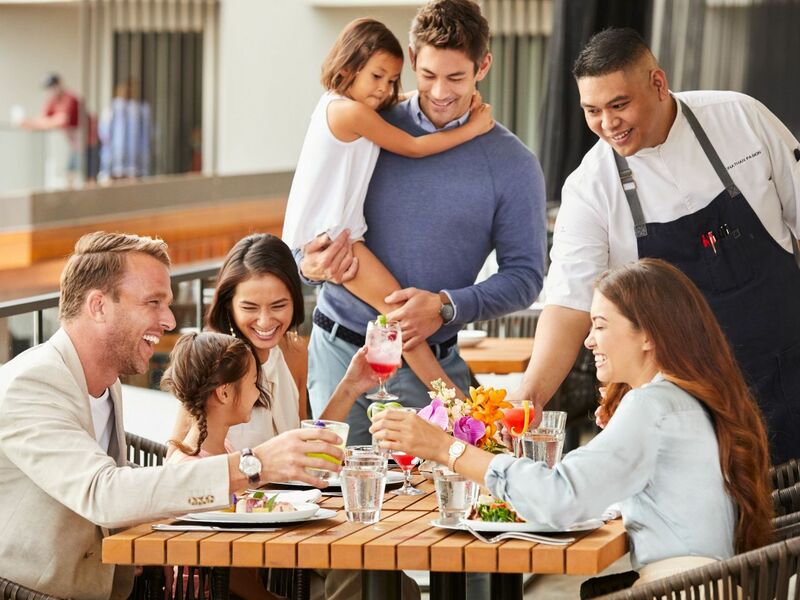 Situated in the heart of Ka’ana Kitchen’s open-air style kitchen, couples can enjoy a six-course customized menu with wine paired by the resort’s expert sommelier. An interactive cocktail experience with a 3-course meal paired with cocktails handcrafted with your favorite spirit. At $125pp, this experience is perfect for the local foodie, or the adventurous traveler visiting the island. Bitters & Bites is limited to reservations made 24 hrs in advance and available at 6:00 PM only. Don’t rush to Bumbye Beach Bar. Set on the edge of our lagoon pool near Mokapu Beach, Bumbye is a place where morning slowly drifts into day. Set your pace to “island time,” and take a moment to relax. 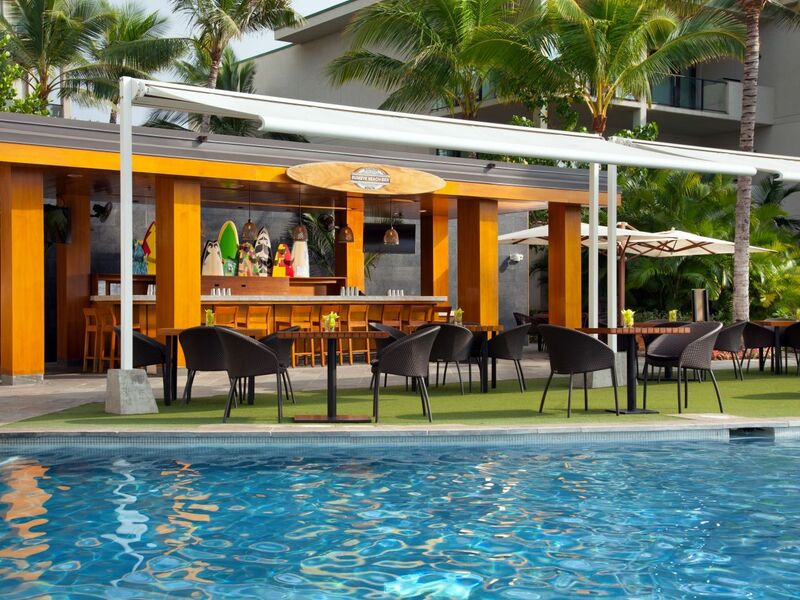 Later, as lunch arrives, enjoy island inspired bites and cool cocktails. Then try restaurant dishes crafted with locally sourced ingredients and influenced by the diverse ethnicities that shape Hawaiian culture in Wailea. Named after Hawaii’s brilliant red Lehua blossom, this elegant island lounge is nestled among crystal clear waterfalls and features handcrafted cocktails, gorgeous views of Mokapu Beach and delectable small bites. Choose from an inspiring farm-to-table restaurant menu including artisan cocktails, hand-infused with fresh fruit juices. 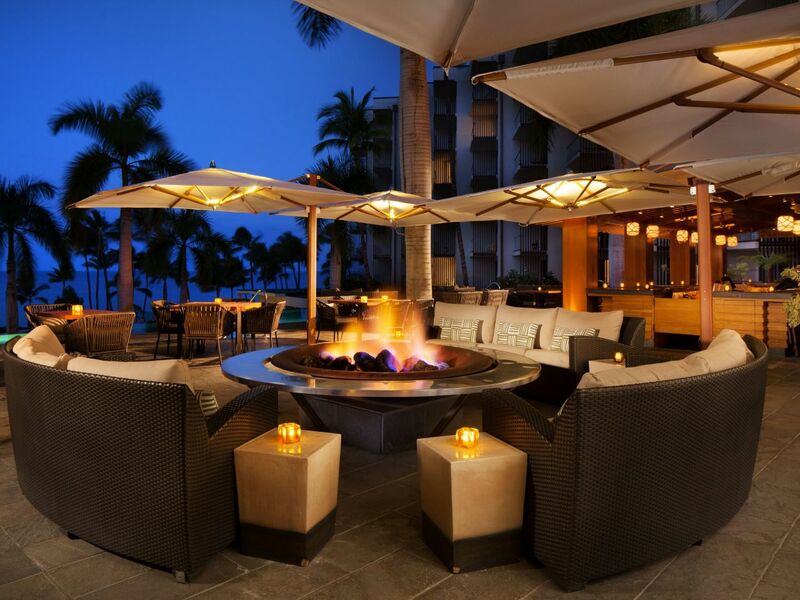 With vibrant scenery and a sophisticated Maui setting, Lehua Lounge provides the perfect place to watch the sunset, relax with friends and enjoy the laid-back island lifestyle. Mokapu Market supplies all of your island adventures, 24 hours a day, seven days a week, whether you find yourself looking for a midnight snack or the perfect bottle of wine for your beachside rendezvous. 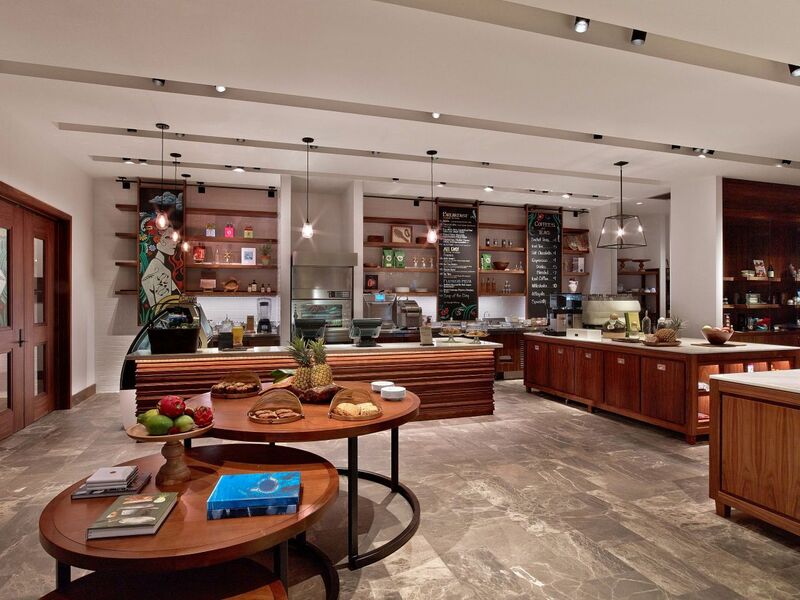 Enjoy the island vibe and discover a host of light snacks, flat breads, prepared foods and locally sourced, native fare, plus a tasty display of gelato for a cool treat. Cool off on those hot Maui days with a selection of handcrafted soft drinks, excellent beers and a large variety of exclusive wines. 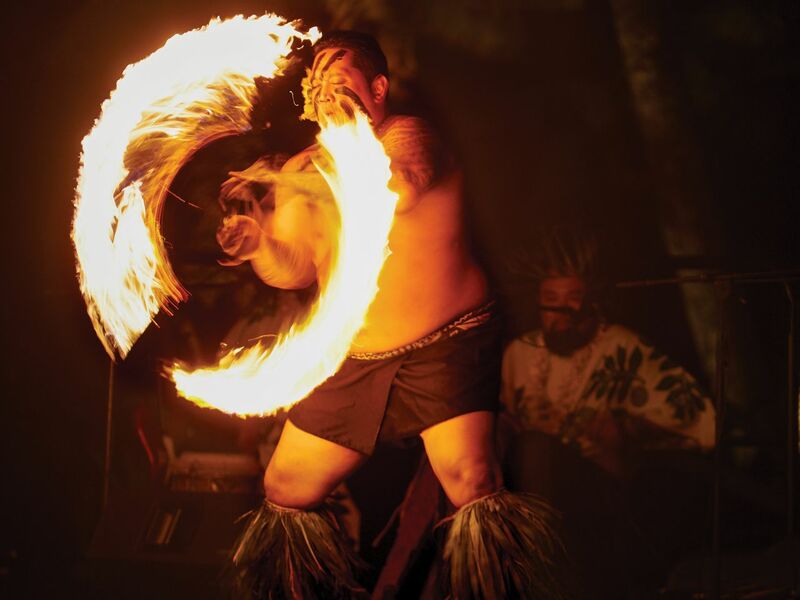 The Feast at Mokapu is Maui’s newest most exclusive luxury Lu’au experience. Set among the iconic grassy lawn of Andaz Maui at Wailea Resort and the shores of Mokapu beach, guests are invited to go on an intimate journey of Hawaii’s Polynesian ancestors arriving to Maui and settling in our ahupua’a (land division) while dancers and story tellers give insight and life to the Hawaiian values that focus on the love of, connection to, and kuleana (responsibility) to the land. 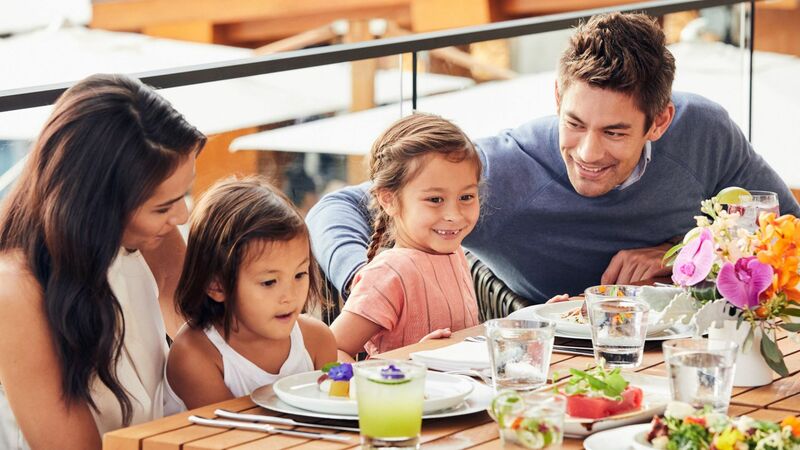 While enjoying interactive story-telling, guests are able to indulge in an `ohana style meal of fifteen locally inspired dishes beautifully plated and executed by our Executive Chef, Isaac Bancaco. Alongside the expansive feast, unlimited craft cocktails and interactive cultural experiences are also provided to fully immerse and give a sense of place to all guests who participate. At Morimoto Maui, highly acclaimed celebrity chef Masaharu Morimoto, best known for Iron Chef and Iron Chef America, uses locally sourced, season fresh ingredients from Hawaii to embark on a distinct culinary style that blends Western and Japanese traditions. 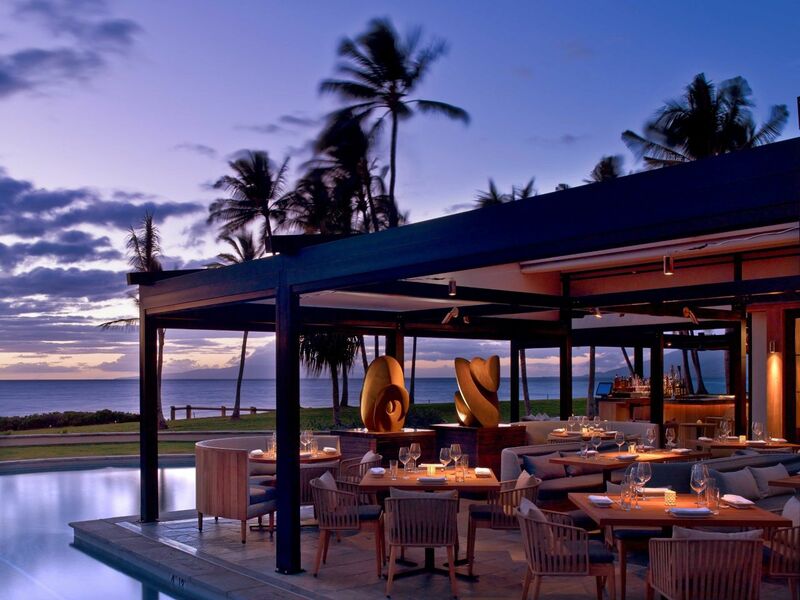 Morimoto Maui brings a thoughtfully crafted lunch and dinner menu to a laidback, beachfront setting. Savor sumptuous hand rolled sushi and sashimi from Maui’s freshest local fish at the sushi bar, and enjoy an authentic island experience. Sushi items available in our bar from 2:00 p.m.- 5:00 p.m.